Let’s say you are taking your first skydiving lesson. It’s not likely that you would be focused on how to get on the plane. After all, although getting on the plane is necessary, when you’re plummeting through the air at breakneck speed, G-forces are pushing your facial cheeks back against your ears, and your life flashes before your eyes as the ground rushes toward you, it is safe to assume that other, more pressing issues will be foremost on your mind. As ridiculous as that analogy sounds, after having counseled hundreds of companies on their business activities in China, I can say with some confidence that it directly applies to doing business in China. “How do I establish a company?” “How do I open a bank account?” “How do I find a supplier?” I call these the “How to” questions, and all too often they seem to be the only questions foreign companies ask as they prepare to enter China. Don’t get me wrong. Issues like these, which we might refer to as relating to “tactical execution,” are important. Often, if you can’t complete a basic how-to task, you can’t move forward. But the how-to’s are not your biggest challenge in China. They won’t stunt your growth, cause the red ink to flow, and require you to travel to China once a month instead of twice per year, as originally planned. I call them the “Killer Mistakes.” The wrong strategy. Poor management. A failed partnership. These are the mistakes that can bring your China dreams crashing to the ground. There are many sources of information and advice relative to How-to questions. However, well-structured, practical material that helps businesspeople avoid the Killer Mistakes is, in my opinion, much more difficult to find. In general, companies make mistakes in these areas because they fail to adjust to China’s “local conditions,” i.e., the ways in which China is different from other markets. As relates to strategy and management, the most relevant of the local conditions, what I call the “Critical Differences,” are culture, economic structure, and business environment. This book takes a fairly in-depth look at two of the critical differences, culture and economic structure. 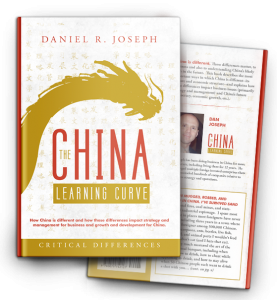 After explaining differences in these areas, the book goes on to explain how these differences impact business in China, particularly strategy and management. Because culture and economic structure have a broader impact than the field of business, this book also analyzes how differences in China’s culture impact issues related to China’s overall development, such as whether China is ready for democracy or whether China is likely to continue to transition to a free market economy. It should come as no surprise that foreign companies struggle in China. Prior to 1980 the business world had little experience working with “formerly communist” countries. Plus, it wasn’t that long ago that emerging markets were largely limited to a select few global giants (and, within those companies, to a select few people). Not anymore. For a variety of reasons, including the ongoing economic challenges in the developed countries, companies of all sizes and in all industries are venturing into emerging territory, most of them far deeper than even the global giants did in the past. For such companies, China is usually their first venture into this uncharted territory. In this sense we could consider China to be the “capitalist frontier,” and I think that analogy also applies to how foreign companies have approached China over the past 30 years, which is to say without maps, roads, or rest stops. Like traversing an unknown jungle, companies have simply taken their machete and hacked their way through. Many have made it to the other side, often by virtue of sheer persistence and stamina. Most have stumbled along the way—taking a wrong turn, getting stuck in the mud, running out of supplies—before getting back on track. Others haven’t been so fortunate, sinking in quicksand or falling off a cliff or being hammered into submission by a brutal storm. Total failure is perhaps more common than you think. 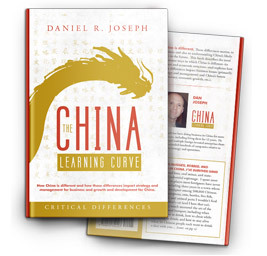 For those with little or no China experience this book will definitely be of value. But even for those who have a good deal of China experience, I would guess most of you haven’t had a chance to digest much material relative to China’s culture or economic structure. Sometimes, to move forward more effectively, it helps to first take a step back. This book can provide perspective that might be helpful even to those who have traveled the frontier themselves. That’s the response I usually get from China veterans when I offer this material in speeches and presentations. This book is structured for ease of use for the reader. Many chapters include both a conceptual discussion of a particular topic (for example, a cultural attribute) and examples meant to illustrate the concepts discussed. The conceptual discussion and examples are separated so the reader can choose how many examples or how much of the conceptual discussion they would like to digest. Each chapter also includes a summary of the chapter’s main points, and there are section summaries, paragraph headers, and outline material elsewhere throughout the book. The intent is to make it easy for the reader to grasp the main points and decide which material deserves more attention and also to simplify use of the book as a reference after the first reading.